Reviews of products, food, restaurants, books, software , services, etc. I am in Brick Farm Tavern, drinking Heady Jams by Brix City Brewing. Brix City Brewing is a Micro Brewery in Little Ferry, NJ. Heady Jams beer style is IPA – Imperial / Double, with an ABV of 8.5% and IBU of 60. I gave Heady Jams a 4 on Untappd’s 5 point rating system. Brix City Brewing is a brewery based out of Little Ferry N.J. We produce a wide variety of ale and lager style beers as well as focusing on limited release barrel aged speciality beers. 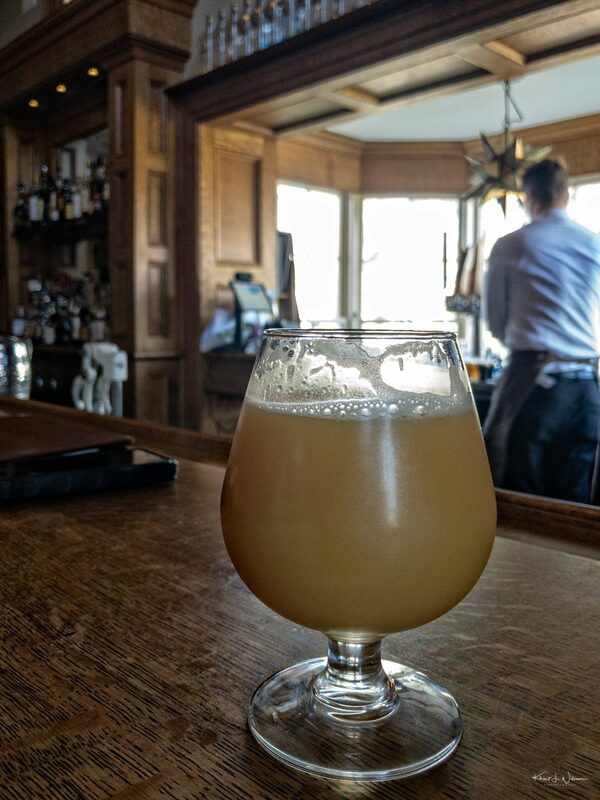 I am in Brick Farm Tavern, drinking Feral Faun by Troon Brewing. Troon Brewing is a Micro Brewery in Hopewell, NJ. Feral Faun beer style is IPA – Imperial / Double, with an ABV of 8.4% and IBU of 0. I gave Feral Faun a 4 on Untappd’s 5 point rating system. WE DO NOT HAVE A TAPROOM AT THE BREWERY BUT 100% OF OUR DRAUGHT BEER GOES TO BRICK FARM TAVERN WHICH IS ON THE SAME PROPERTY. POURS AND FLIGHTS ARE AVAILABLE WHENEVER THEY ARE OPEN, EVEN WHEN WE ARE CLOSED. WE DO NOT SERVE ANY POURS OR TASTINGS AT THE BREWERY ITSELF. WE DO NOT HAVE TAPS AT THE BREWERY, WE DO NOT FILL GROWLERS, WE DO NOT OPEN UNLESS WE HAVE PRE-FILLED, 32OZ CANS OF OUR LATEST BEER. WE RARELY RELEASE MORE THAN ONE BEER PER WEEK, WHICH MEANS THE ACTUAL BREWERY IS RARELY OPEN MORE THAN ONE DAY A WEEK. I am in Skillman, NJ, drinking Beach by Carton Brewing Company. Carton Brewing Company is a Micro Brewery in Atlantic Highlands, NJ. Beach beer style is Pale Ale – American, with an ABV of 4% and IBU of 40. I gave Beach a 2.75 on Untappd’s 5 point rating system. Stop yur beaching! Go to bed. Yu have work tomorrow. Like the tension and relief of a day spent flitting between laying on sand under the beating sun and bobbing on the ocean’s cool surf, summer session drinking needs leisurely contrast. 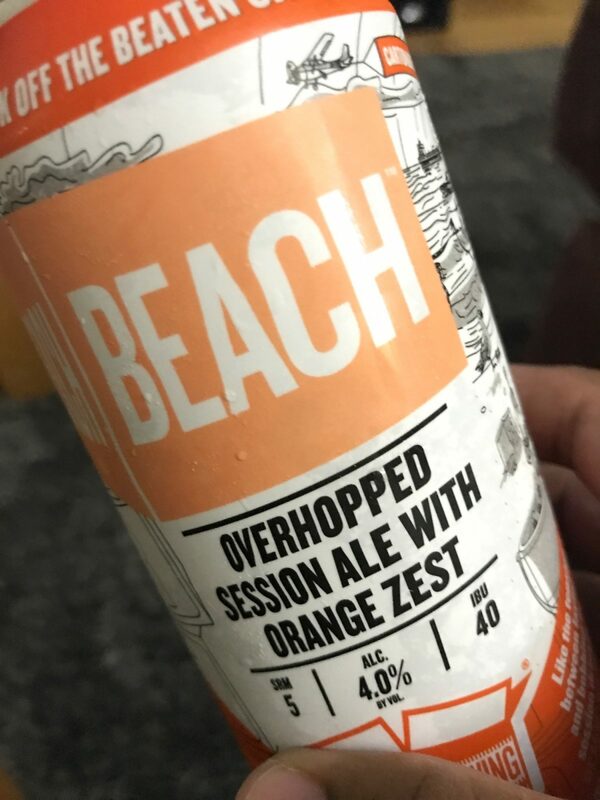 With Beach we find that midpoint where Kolsch yeasts fruity character matches its lean dryness and where an amber’s roundness gets pulled taught by cracker notes. The hops’ fruity aromatics flow, and the bitterness ebbs, with a swash of orange zest to be clean and lean, bitter and bright. Drink Beach and be chill. Having decided they had something to contribute to the very exciting conversation going on in craft brewing, cousins Chris and Augie Carton teamed up and started Carton Brewing. In the seashore community where they were born and raised, the Carton boys found a turn-of-the-century red brick warehouse and adapted it to accommodate a state-of-the-art Newlands Systems 15 barrel brew house. 6 E. Washington Avenue was turned into an independent craft brewery and their hats were in the ring. Applying a passion for stimulating flavor to inspiration found all around them, they set about their goal: to make tasty beer in the place their tastes were formed. I am drinking a Beach by Carton Brewing Company. Stop yur beaching! Go to bed. Yu have work tomorrow.